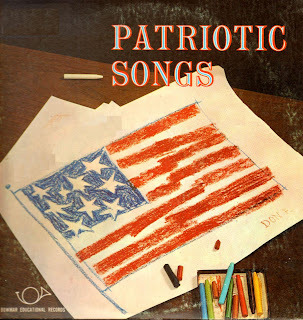 For Memorial Day (at least in the U.S.) I figured I'd throw in an album of patriotic music. Some of these I remember from school, some I don't. Regardless, please try to remember that Memorial Day is more than just a day off from work and a chance to catch sales. Thanks! Hello! My name is Luke Sienkowski, and I make comedy songs for "The Dr. Demento Show" under the stage name of 'the great Luke Ski'. A good friend of mine pointed me to your blog, and I just wanted to say thank you for posting all these great out of print albums! At last, my "Big Daddy" collection is complete, and I am currently listening to "Ol' Brown Ears Is Back". Burger King had 4 promotional record singles by Alf. Melmac Rock, Melmac Girls, Cookin With Alf, and Take Me Alf To The Ballgame. A Muppet CD called "Muppet Beach Party". In conclusion, if you're interested in hearing some new funny music you can download for free, check out The Funny Music Project, at http://www.thefump.com . Thanks again so much! I also sent you an E-mail with this info. I just purchased the Melmac Rock record off of eBay and have an MP3 of it (Heavily filtered because these cardboard records sound like crap).